The R6 frame telescopes from 28�-42.5 in length with 24� foldable sides and features 8�x2.50� pneumatic rear wheels and 4�x1.0" front swivel casters w/o brakes. 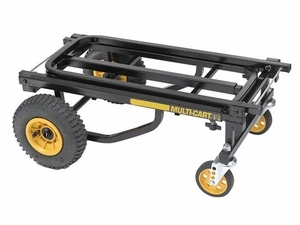 Load capacity: 500 lbs./27 cu. ft.